“Just Putin on my new watch,” you’ll reply. At last, a gold-coated Apple Watch featuring the signature of three-term Russia President Vladimir Putin has arrived on the market, and could be yours for just over $3000. The Russophilic smartwatch, produced by a Russian-Italian jewellery brand called Caviar Perna Penna, costs 197,000 rubles ($3,073) and also depicts the Moscow skyline and the double-headed eagle of Russia’s coat of arms. Jewelers Caviar made headlines last June when they produced an 18-carat gold iPhone 5S, hand-etched with a portrait of the Russian leader, which the company described as “the best way to express patriotism.” But following a rebuke from Putin spokesperson Dmitry Peskov — the President does not approve of his likeness being used by manufacturers for commercial gain, he says — production was halted. 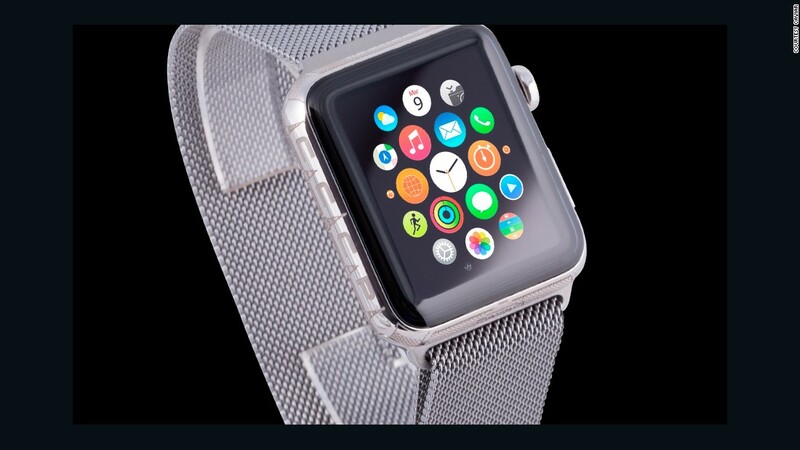 The recently-voted TIME magazine reader’s “most influential person” and current Forbes power list “#1” has not commented on the release of the Apple Watch. Though still beyond the price range of most buyers, the Putin Apple Watch can be yours for less than a third the price of the Apple Watch Edition — the gold Apple watch without the former KGB officer’s face on it — which starts at $10,000. 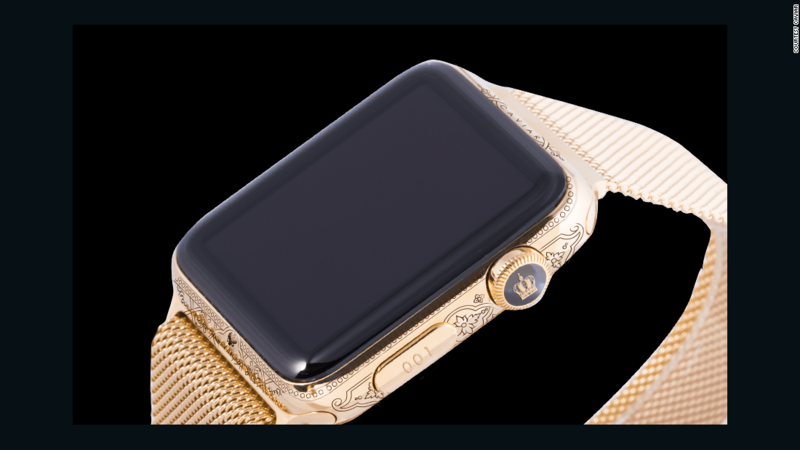 The “Putinwatch” is limited to 999 units and jewelery maker Caviar is also producing editions devoted Tsar Peter I — the 17th and 18th century Russian sovereign known as Peter the Great — and Bolshevik revolutionary Vladimir Lenin. The communist leader’s version eschews a gold finish for a more demure rhodium cladding, whose gray color signifies strength, endurance and power, say Caviar. “All [these] leaders are very respected by people and they have some things in common — all of them are innovators and very principal persons with strong ideas and they do a lot for [the] evolution, development and independence of Russia,” she says. Sales are strong, she claims, but refuses to reveal numbers, beyond saying that the watches are selling at more than twice the expected rate. Currently the watches are only available for purchase in Russia but Lobova says there has been significant interest internationally. “In the near future we planning to make a delivery to Saudi Arabia, China and USA,” she says. Incredibly, this is not August’s first Putin-related luxury watch news. Last week, his spokesman Peskov was pictured wearing a limited edition Swiss watch estimated to cost more than $600,000 — several times his official Kremlin salary — drawing allegations of corruption from opposition leaders. Peskov claims the watch was a wedding present from his new wife, former Olympic figure skater Tatiana Navka.